Posted April 12, 2019 9:03 am & filed under News. Gardening in the Bay Area can be an intimidating endeavor. In San Francisco alone, every neighborhood has its own microclimate. And that doesn’t even take into account the climates found on different sides of the Peninsula, across East Bay and into Marin County. So, how do you keep plants alive? Well, you can start by asking the local experts, and some of these experts have been growing and cultivating here in the Bay Area since 1909! We rounded up some of our favorite garden centers and nurseries where you can find the perfect plants for your garden and your home. Happy planting!…. 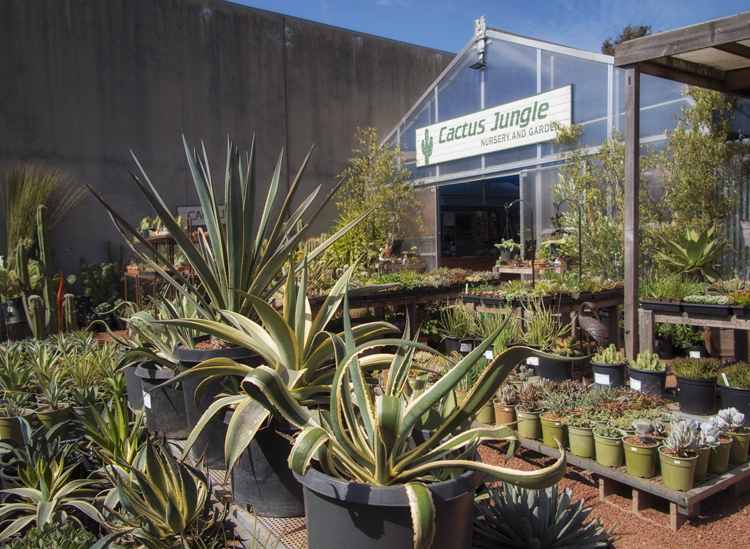 Cactus Jungle was founded in 2002… From their two locations—one in Berkeley and one in San Anselmo—they offer cacti and succulents, low-water grasses, summer-drought bamboos, California natives and more, which are grown both locally and around the world.